Set six soft foam cubes, sized 1 1/2" each. 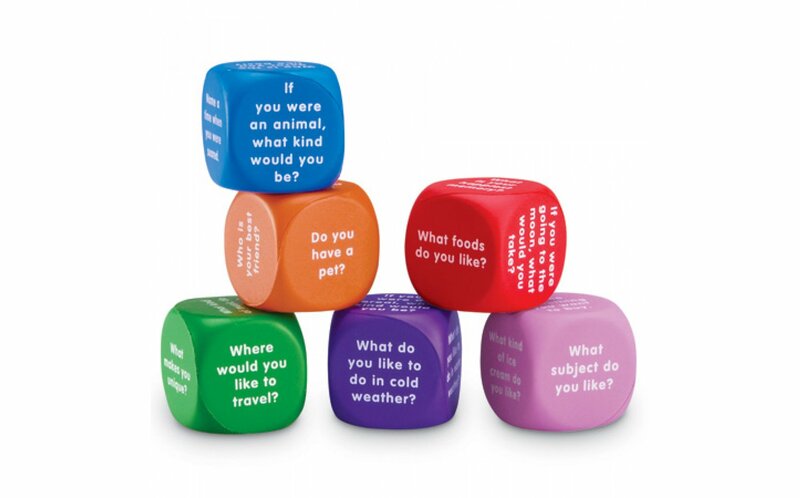 Have fun tossing, rolling, even squeezing the cubes. Questions such as "what is your happiest memory?" and "name one thing you like about yourself?" are on these fun cubes. Awesome product! Cubes are soft and a nice large size. 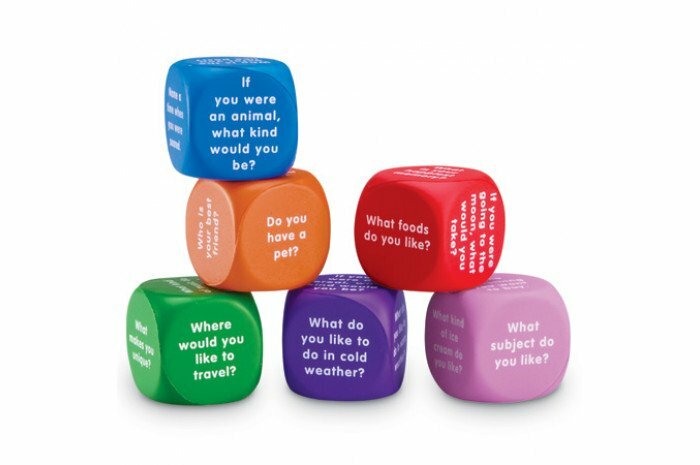 Great questions to get kids talking! Great ice breaker for all teens and adults! Great ice breaker for all teens and adults! Their are easy to hold, soft so are quiet when you roll them. Highly recommend these, they really help get talking going quicker!